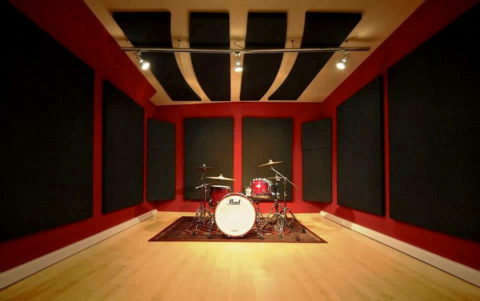 POLYFON- WS is a new stylish acoustic wooden slot appearance panel with foam attached to the back side of the panel. 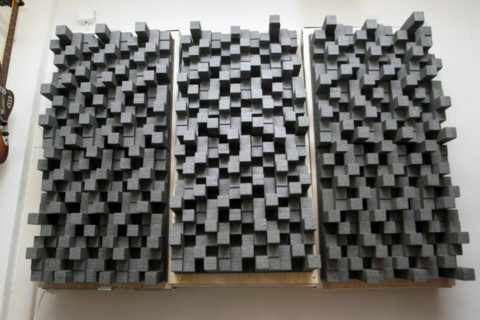 It can be used inhalls, in order to improve acoustics properties and reverberation time, reducing the unwanted reflections, flutter echo and standing waves as well as enhancing them aesthetically. It combines absorption with diffusion and it can improve the acoustic quality, prevent the room modes and increase the clarity. 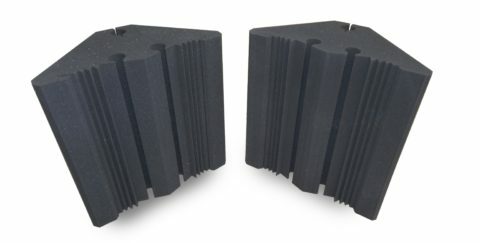 POLYFON- WS contributes in acoustics by offering absorption in a variety of frequencies due to a range of different sizes of linear slots on each panel. Installation on the wall, can be easily done with adequate glue, or using a system of four Hook-and-loop fasteners type Velcro® in the corners of each panel. Upon request we can provide POLYFON- WS with our innovative and fully adjustable neodymium magnet installation system . The panel can also be adapted in traditional false ceiling system with aluminium T profile (dimension 60 x 60 cm). The standard version of external visible surface of the Acoustic Wooden Slotted Panel can be covered with melamine MDF oak wood imitation, offering superior aesthetic design. Other colors and wood imitations are available upon request.